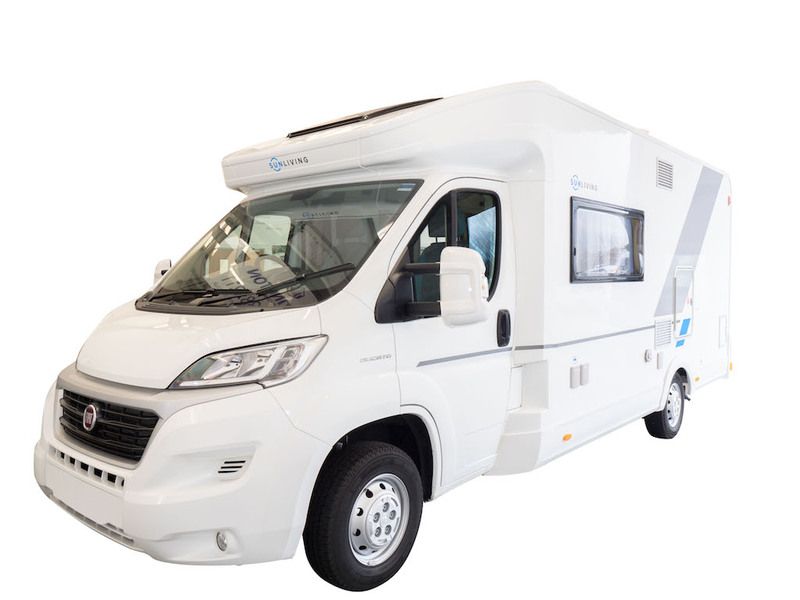 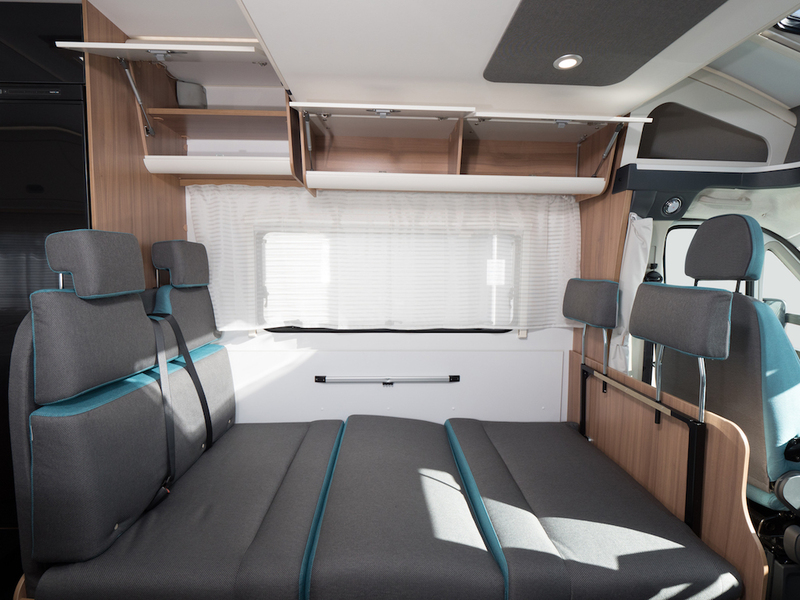 Brand new from Adria is the SunLiving French Bed model which offers a very accessible low double bed, comfortable lounge and seating and seatbelts for up to 6 people! 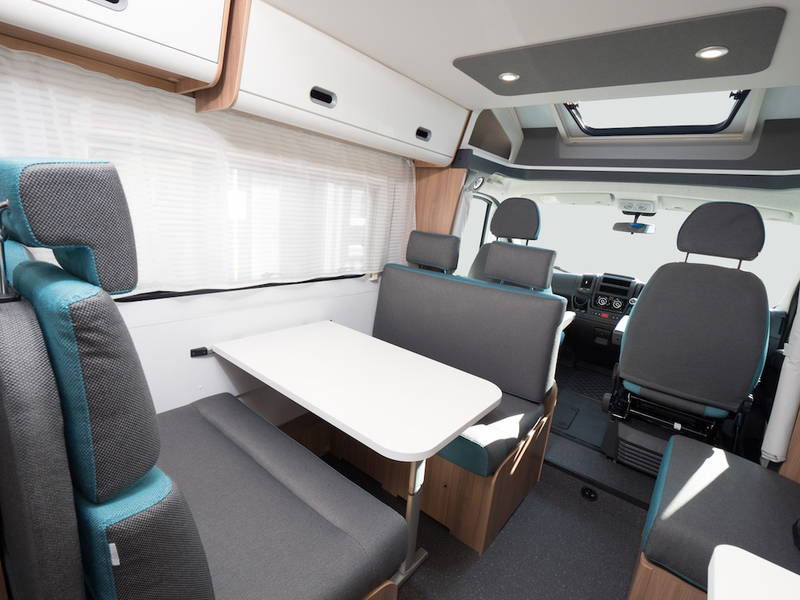 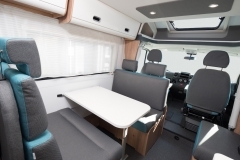 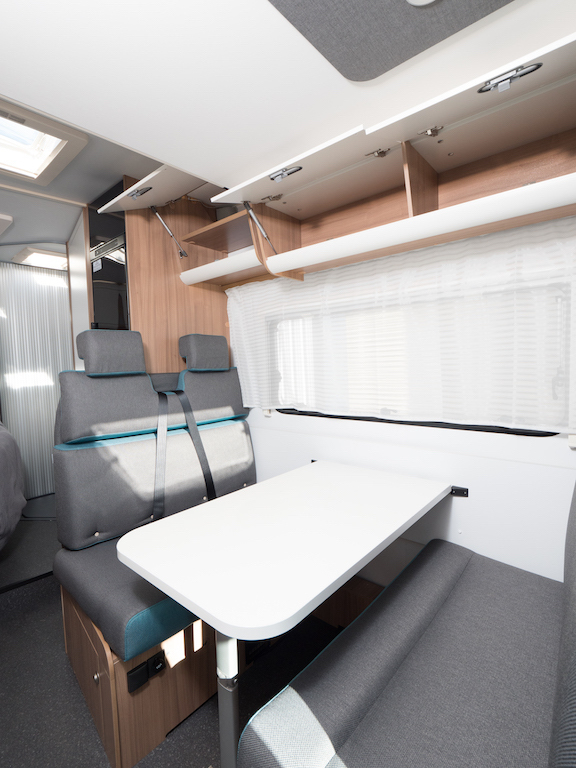 The S70DF a double dinette that quickly makes into a small double bed and a large rear double to the rear. 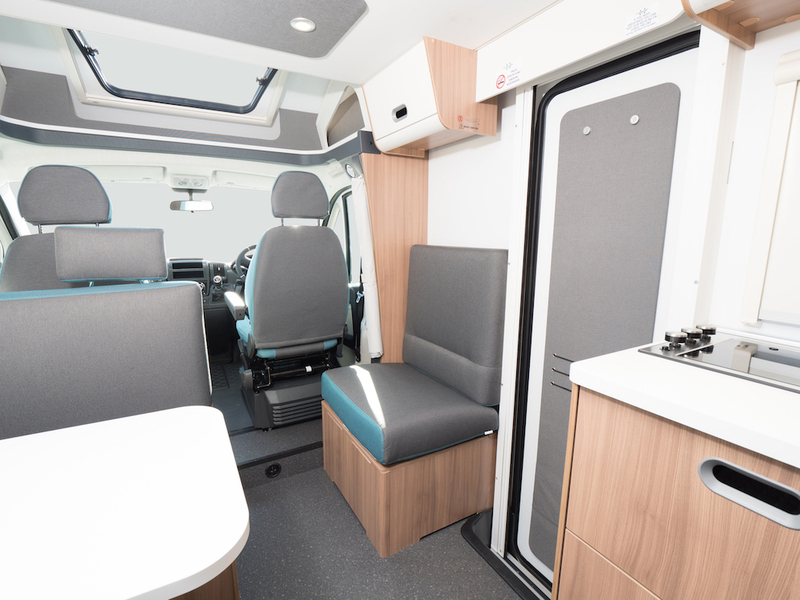 A drop down double bed is based above the dinette too. 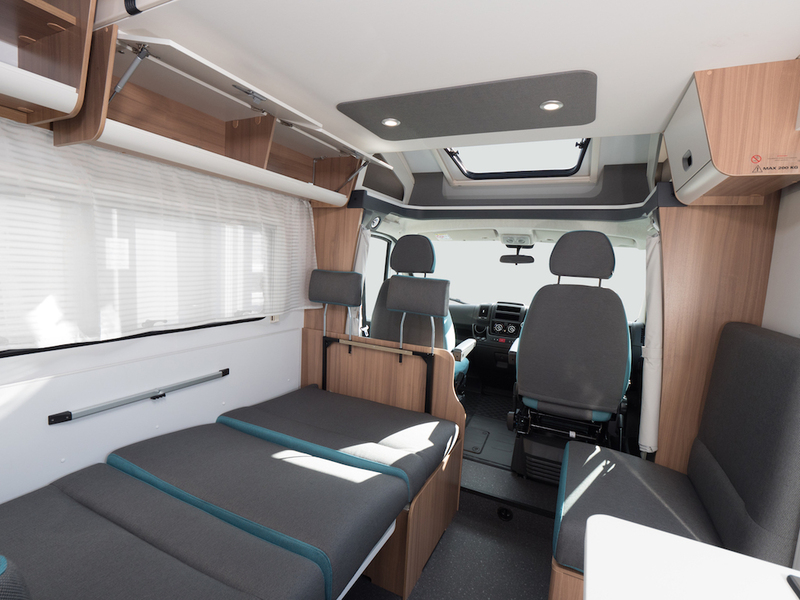 With 6 travelling belted seats and the ability to sleep up to 6 in comfort, this is the ideal family or group layout. 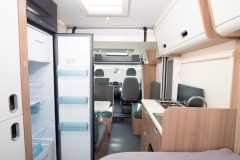 The kitchen includes a hob, large fridge and freezer and sink as well as an oven and grill. 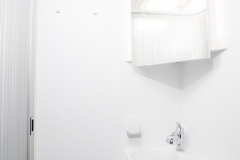 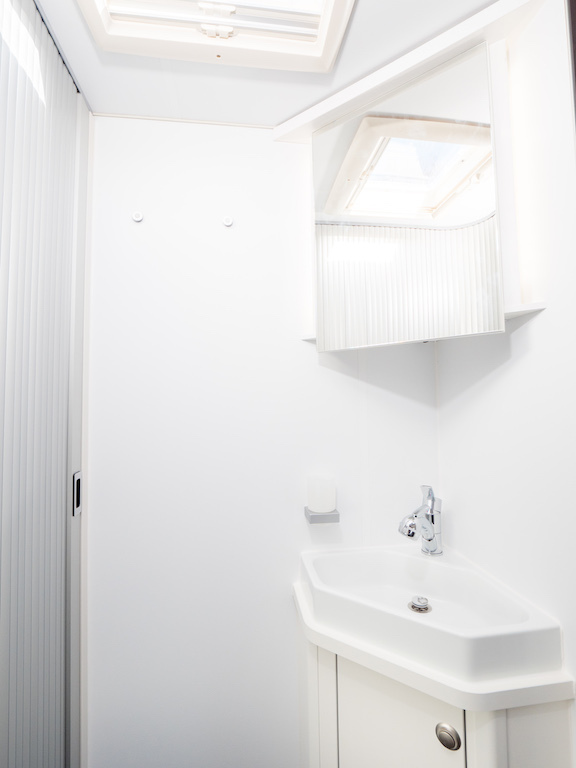 The bathroom is well equipped with sink/shower-head and toilet. 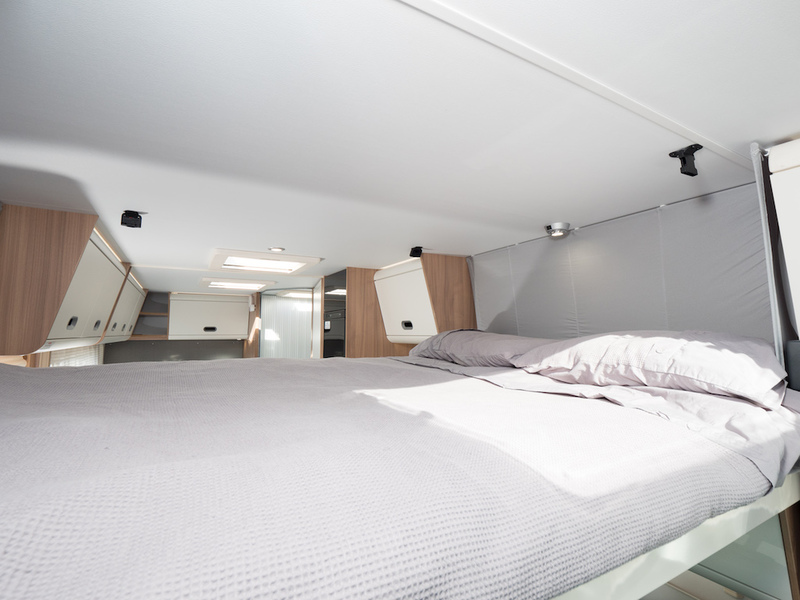 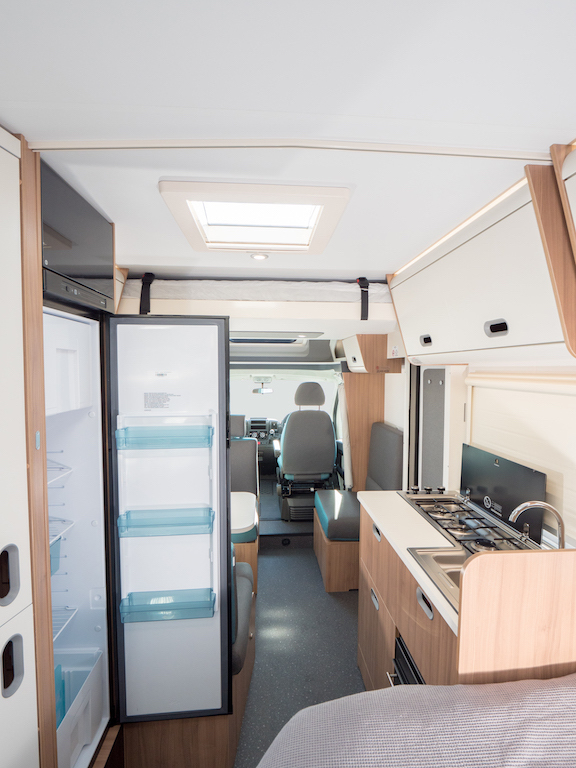 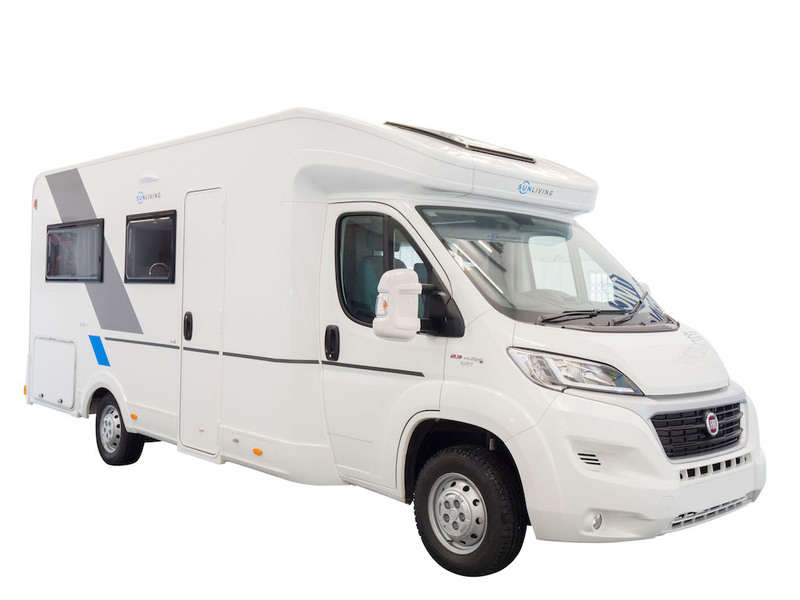 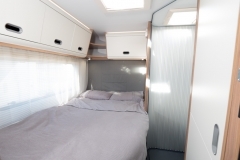 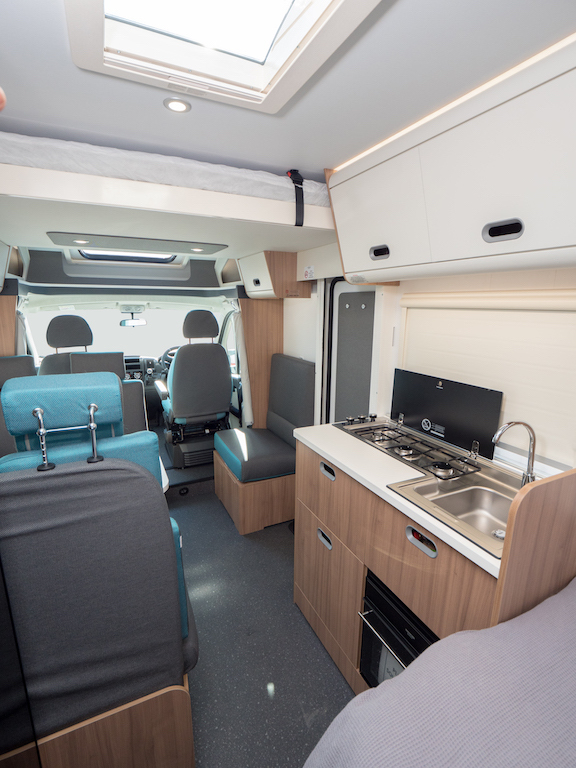 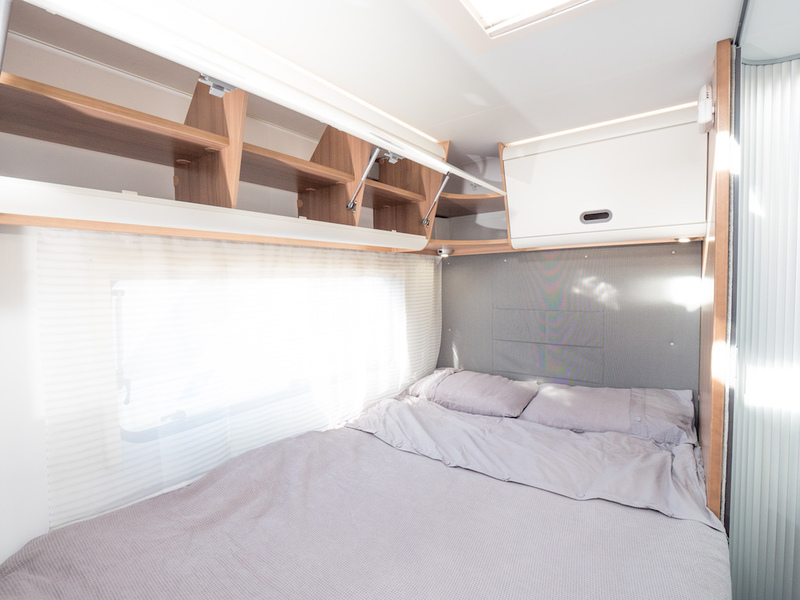 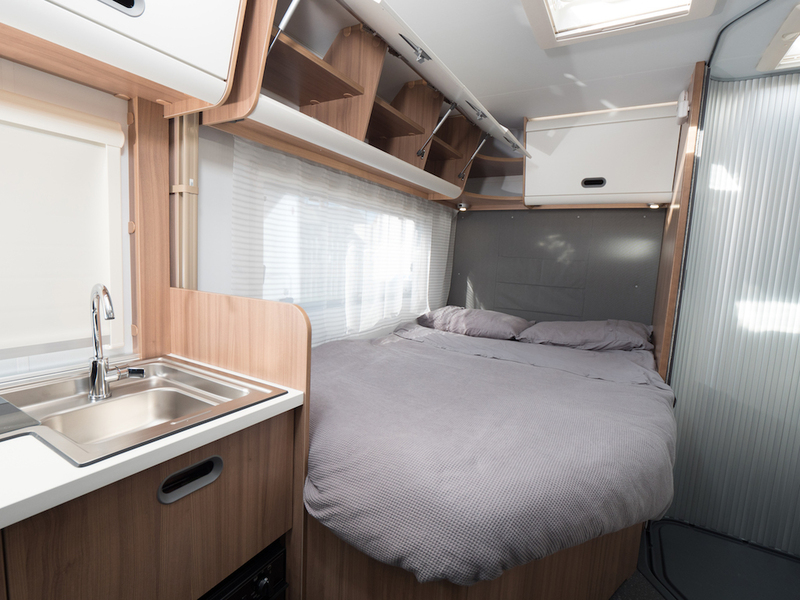 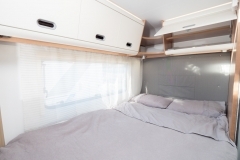 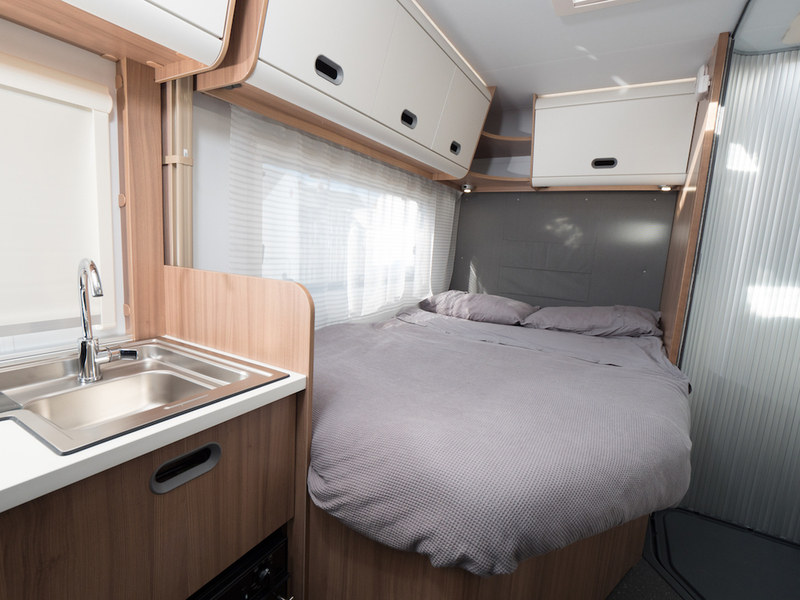 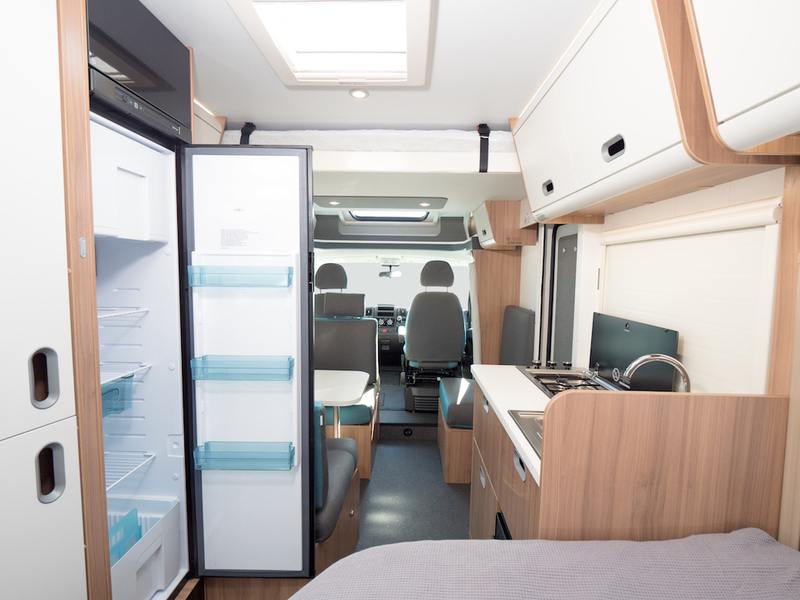 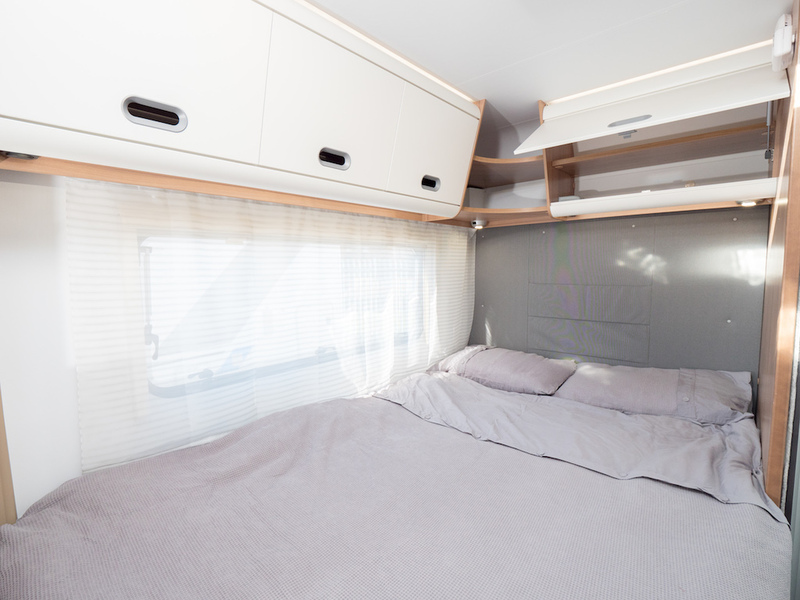 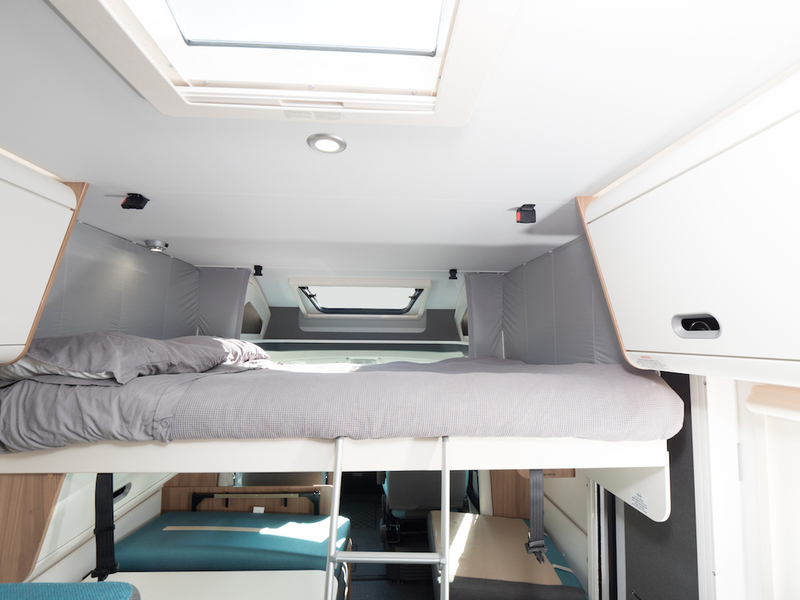 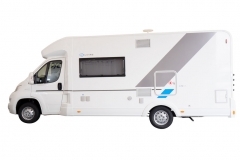 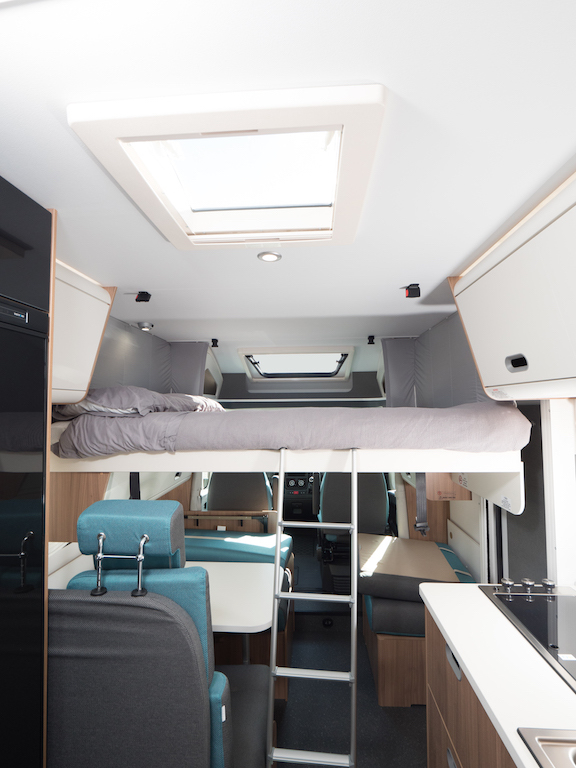 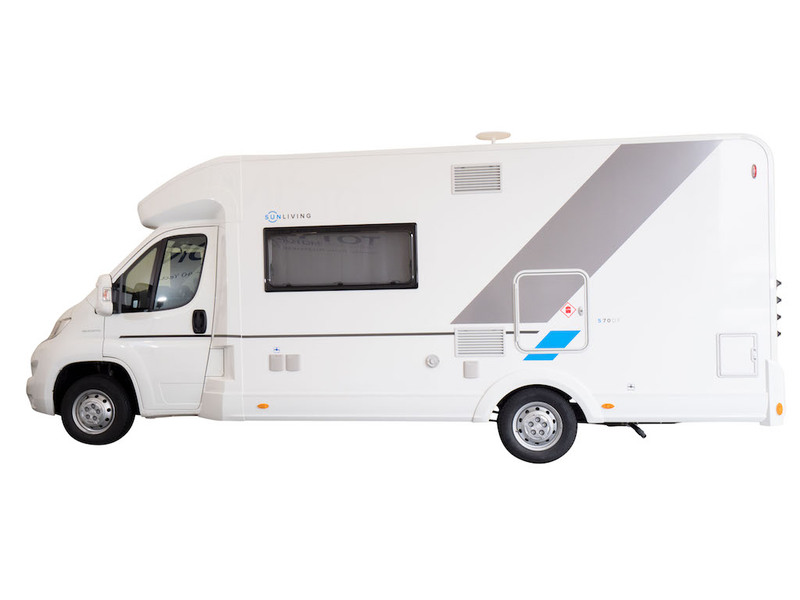 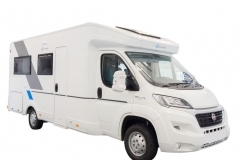 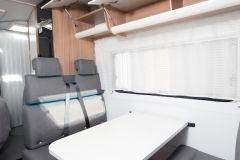 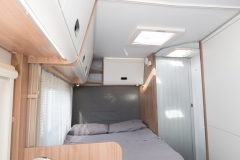 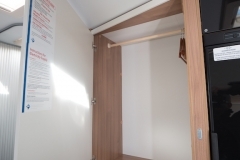 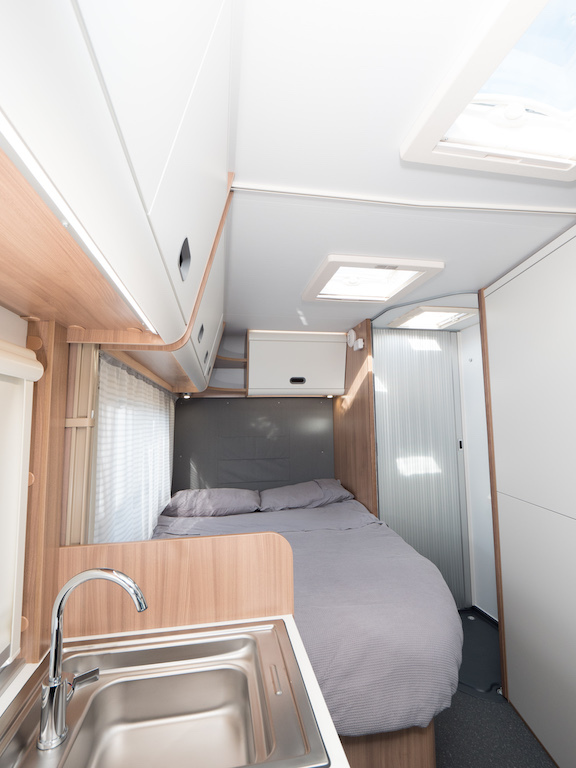 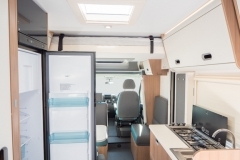 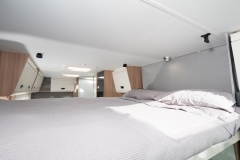 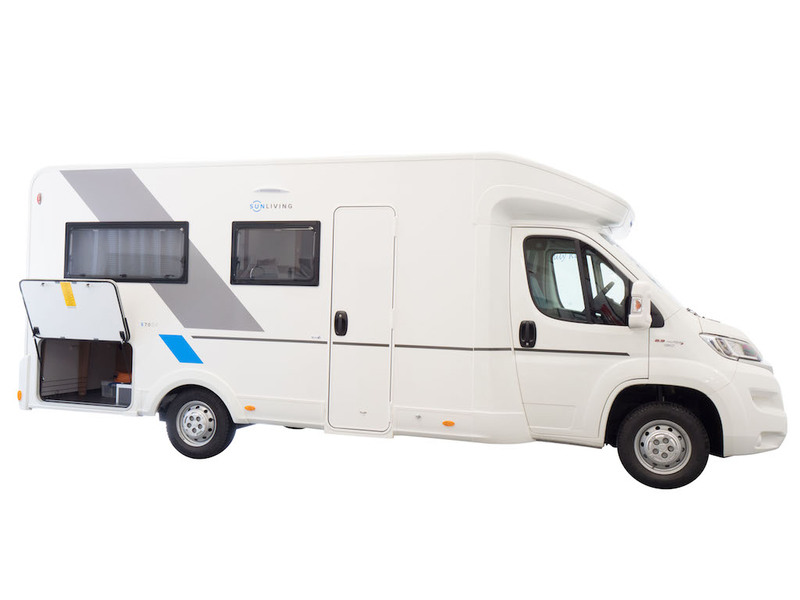 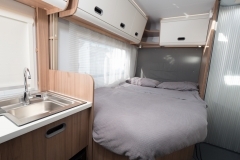 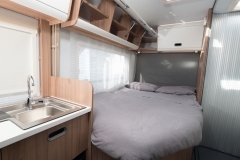 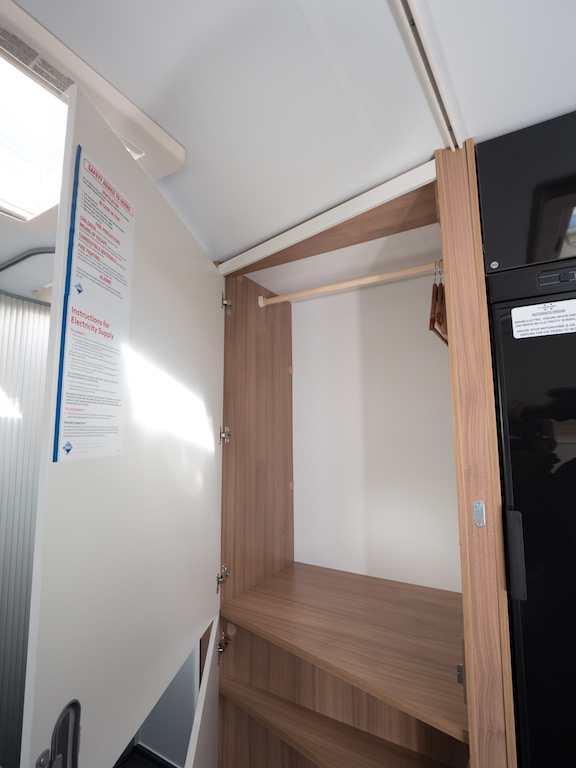 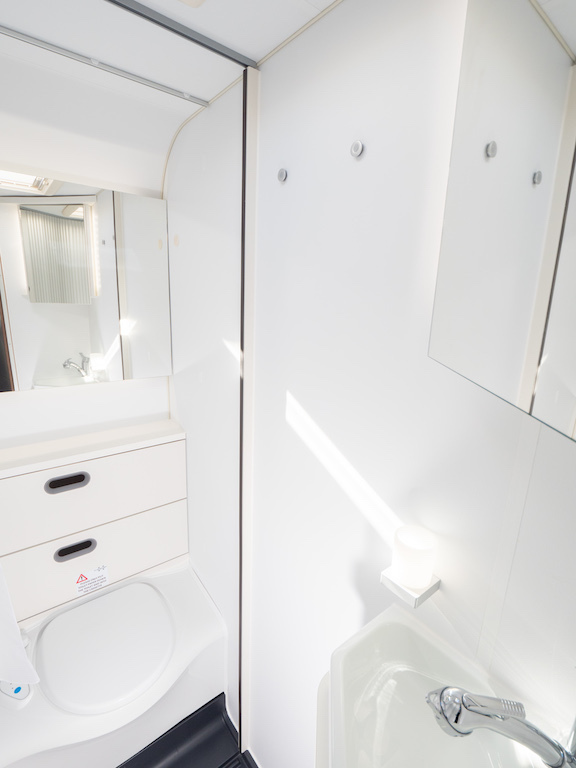 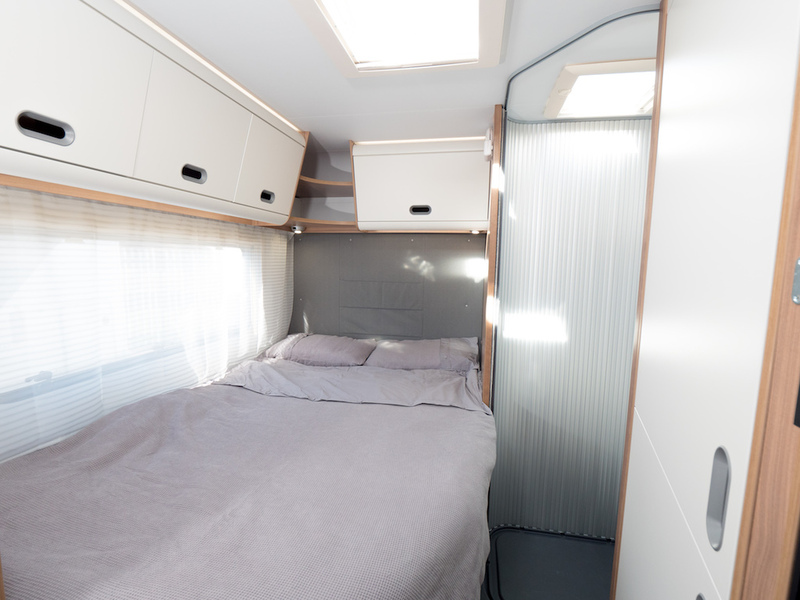 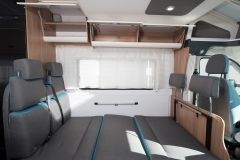 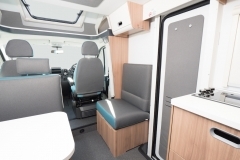 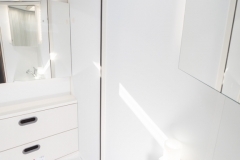 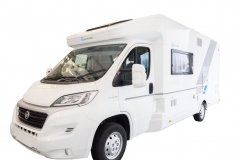 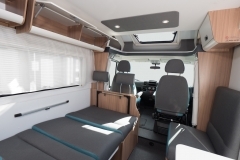 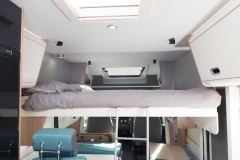 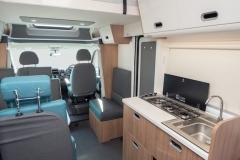 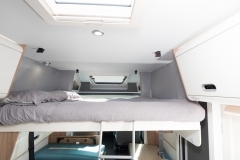 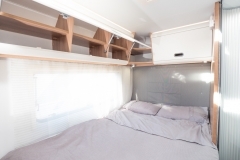 An incredible amount of storage throughout the motorhome with a rear under-bed storage area too for all your 'stuff' and a bike rack for four bikes on the rear of the motorhome too. Ideal for a family of up to 6 or a smaller group who like the idea of a fixed and permanent beds.